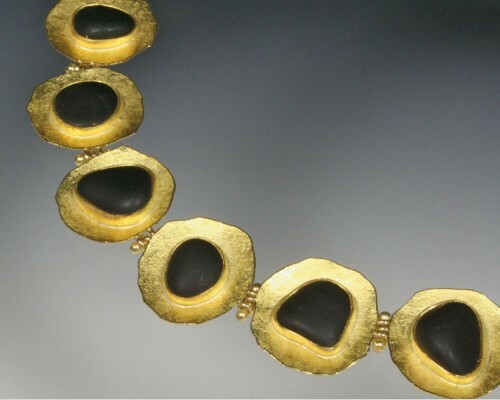 Our marvelous 22K disc necklace with a hammer texture finish and irregular edge. 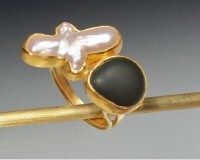 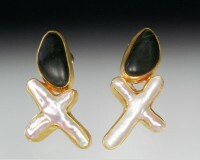 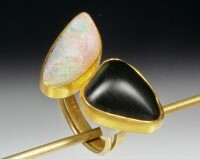 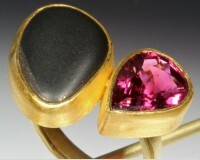 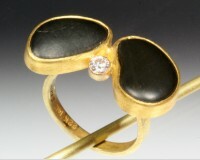 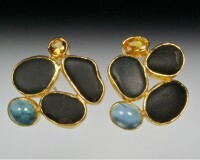 Bezel-set basalt beachstones enhance this piece. 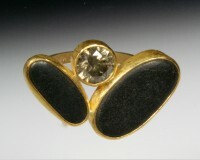 With 14K hinges and clasp.